I especially like that you added EGO and the way you drew her is spot on (very glowing). The remains of the Golden Gate bridge are well drawn (I notice the flashing beacon near the top) and your Irathient character looks great … right down to her Irathient facial markings, the knuckle-duster belt buckle and even the pattern on the scarf. 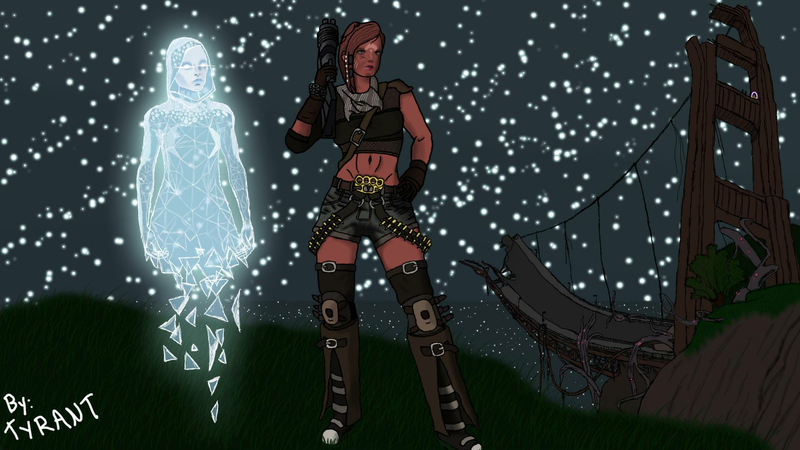 This is my main character from Defiance 2050.